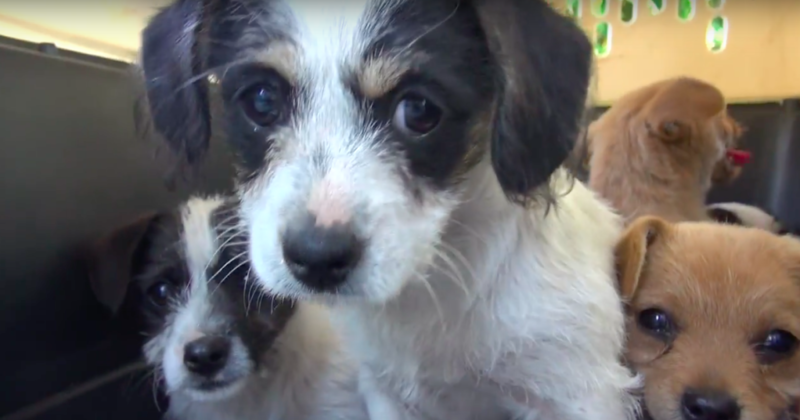 These five puppies became orphaned when their mother left to look for food and never came back. People fed the puppies for two weeks before someone finally called the emergency line of Hope For Paws, an animal rescue organization. Volunteers from Hope For Paws immediately went to the scene. They secured the area so that they could try and catch the puppies. The first two were easy to grab, but the remaining three were extremely scared, which made it more of a challenge to get a hold of them. Finally, all five puppies were in custody and brought back to their clinic for a medical evaluation as well as some much-needed baths. Then they were brought to Lucky Puppy Rescue, where they were given proper care and all the love in the world. 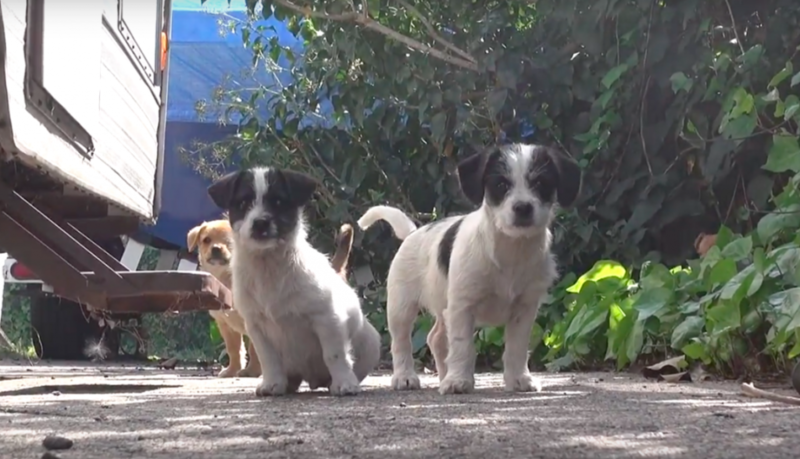 Watch their amazing rescue in the video below, and be sure to watch until the end to see how happy they are now! They went from being abandoned all alone outdoors without their mother, to safe and healthy playing with each other indoors. Thank God they were rescued, and hopefully they will find their furever homes ASAP! One thing is for sure, they’ll never have to worry about living alone outside ever again. Sadly, many pups that are born as strays have to live their whole lives on the streets, never knowing what it’s like to be a pet and never getting human attention or love. Thankfully, these pups won’t have to go through that, all thanks to the people who notified rescuers and the rescuers themselves!